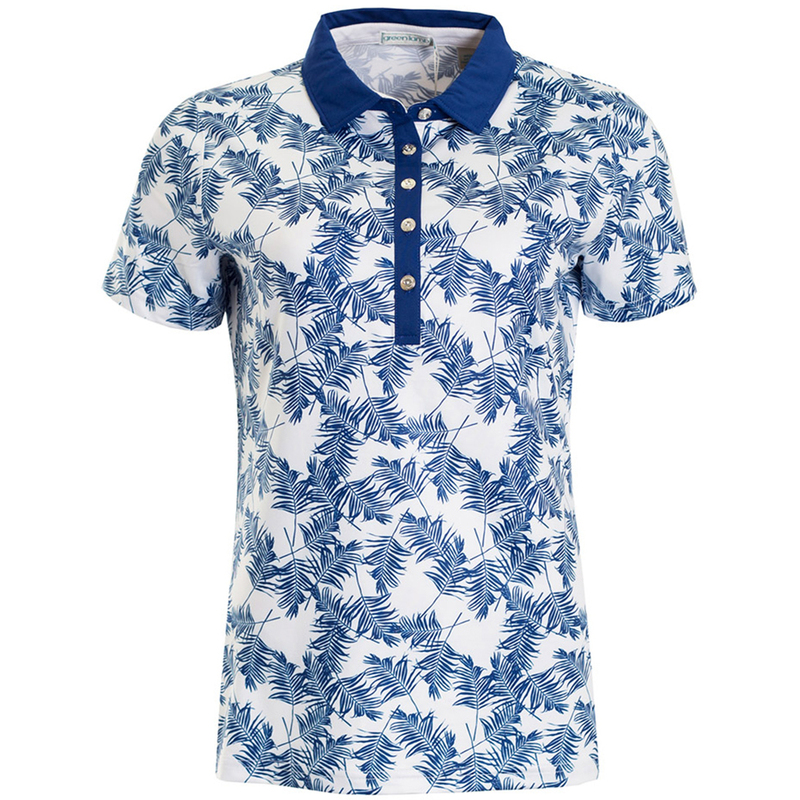 Boost your performance in the high performance shirt from Green Lamb. 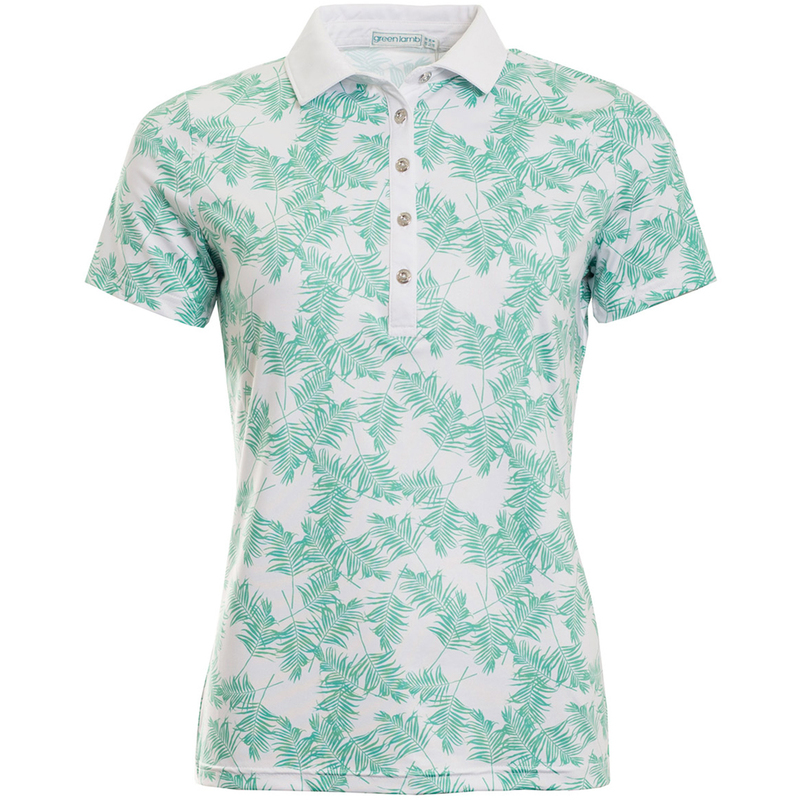 The shirt has a stylish all over palm print you give you some added flair, and has been constructed with a tech performance fabric, which is lightweight and breathable for added comfort during your round of golf. This fabric has moisture wicking properties to keep you dry, and offers an high UV protection rating of 50+, which is perfect for playing outdoor. 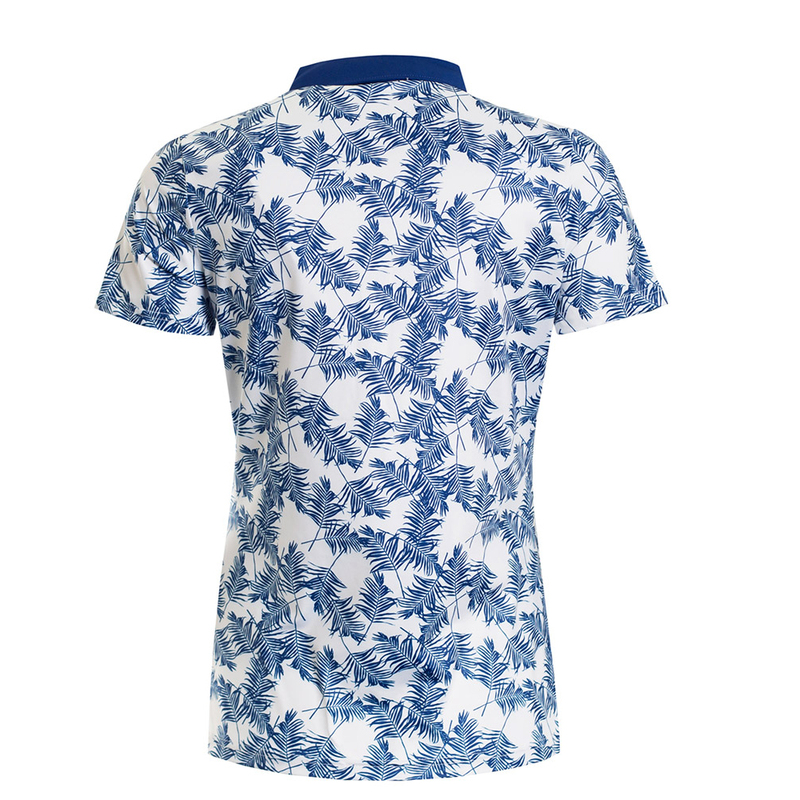 The design features a button placket with silver logo buttons, Lamb logo on front left hem, and solid colour self-fabric collar.